You have a lot of UDF (User Defined Fields) to manage and some of them must be dragged into the main screen for some reason? 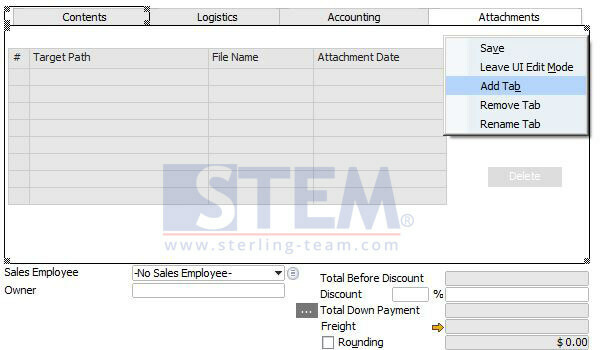 And the standard tab was already full with various fields, so you will need new tab to put that UDF. Here’s some simple tricks to do that. 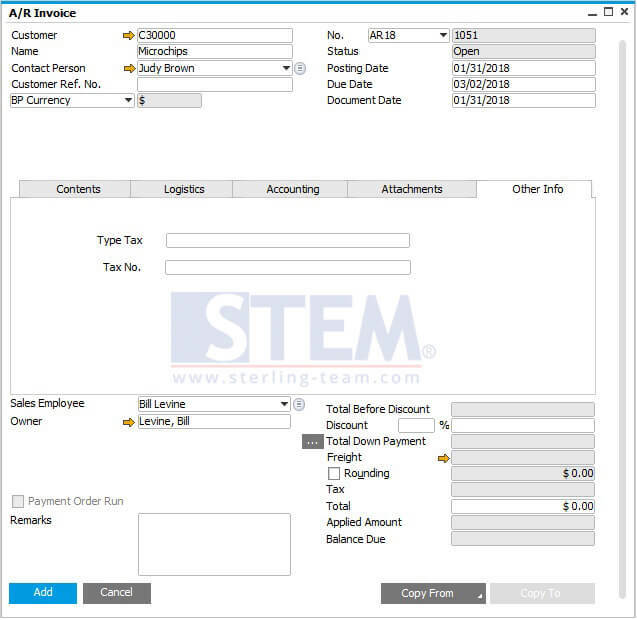 As a new feature on SAP Business One 9.2 and above, now we can create (or add) new Tab to any transaction documents (such as: A/R Invoice, A/P Invoice, Delivery Order, etc) or master data screen (Item Master, Business Partner Master) without any addons (UI API). You can easily create by yourself anytime. 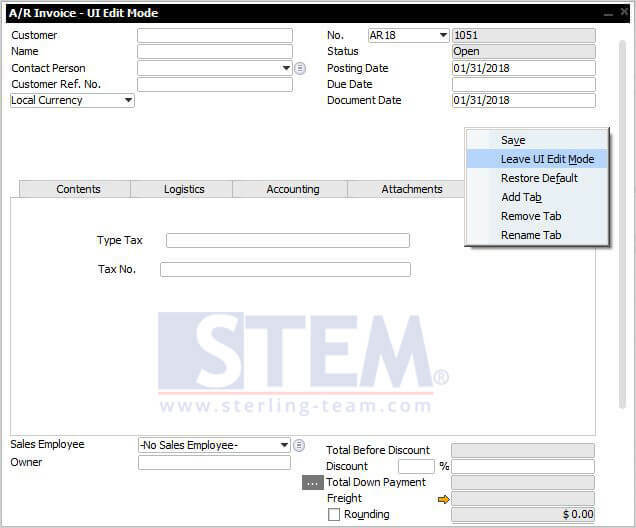 You already have 2 UDF on Marketing Document Header, that UDF need to be dragged into the main screen of A/R Invoice, you need a new Tab “Other Info” and moved that UDF to that tab with “UI Configuration Template” feature. While on UI Edit Mode, right click on tab area, choose “Add Tab”, input the name for that tab. If you done positioning, right click on your mouse, choose option Save. And finally, right click once again, and choose Leave UI Edit Mode to save your setup, and you’re done. 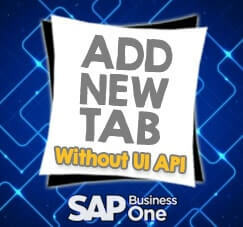 It’s simple and easy, there’s no need UI API (addons) to create tab and move selected UDF into that new tab.